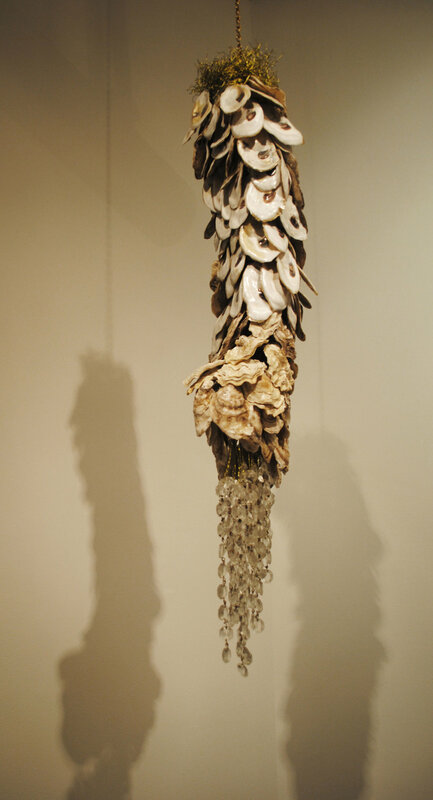 Still Life is a series of sculptures made of thousands of oyster shells, a variety of metals, and fishing line, arranged and composed in a variety of hanging forms and sizes. The material influence comes out of my time and memories working in New York City restaurants watching people, including myself, throw out literal tons of plastic, food, and other merchandise. 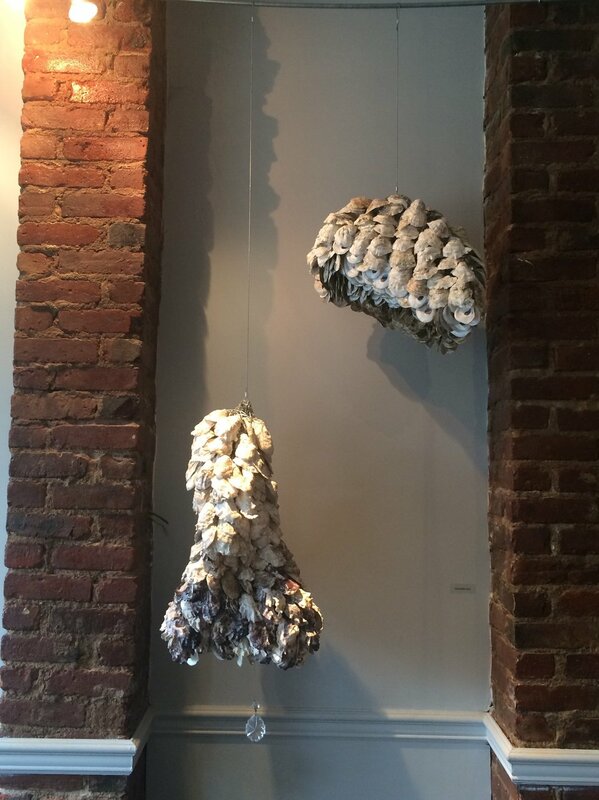 Oyster shells were one item that stood out to me explicitly because of the array of colors they would come in. As a painter first, its visual characteristics have become overwhelmingly apparent the more I study them; its textures, colors, sizes, and shapes, have all become major influences in how these sculptures have been developing. No longer working in a restaurant, I have turned to approaching restaurants with my concept and having them save their shells each night, a top contributor being LAVO NYC. This series is a developing representation of my experiences and myself in the purest form, a unique, tough shell, with a soft fragile interior. 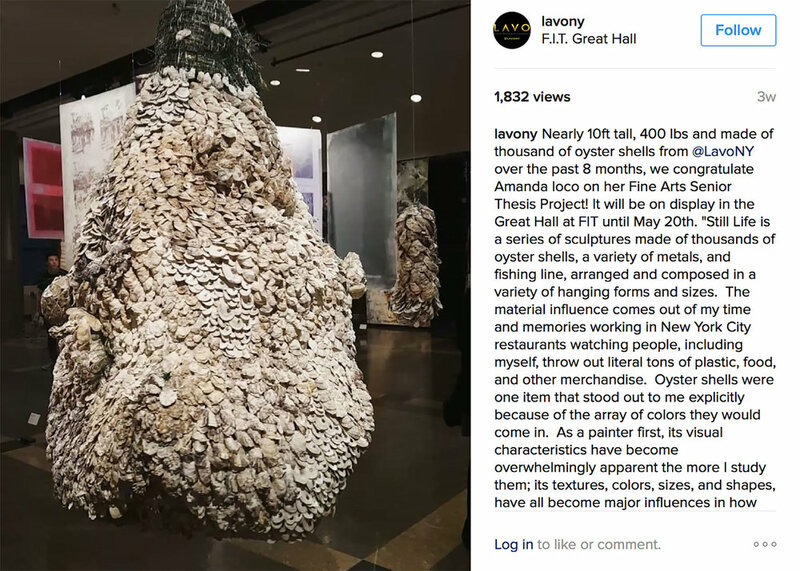 The oyster shell is a naturally beautiful object that has allowed me to create and reminisce in memories intuitively, without force.